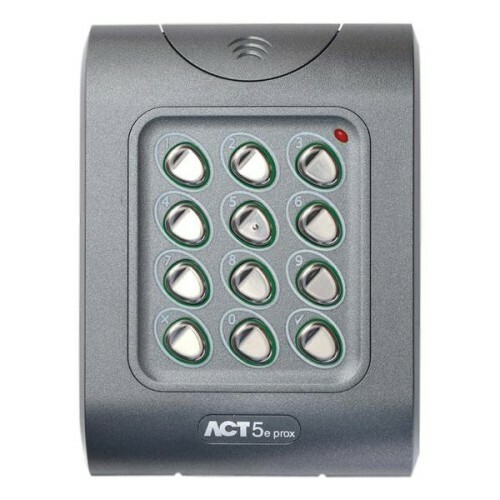 This cost-effective and safe method of achieving a crash-to-exit solution on an exit door that is used as part of an access control system, allows you to forego having a push-to-exit button on the wall, and simply allow people to push the bar on the door to unlock it. 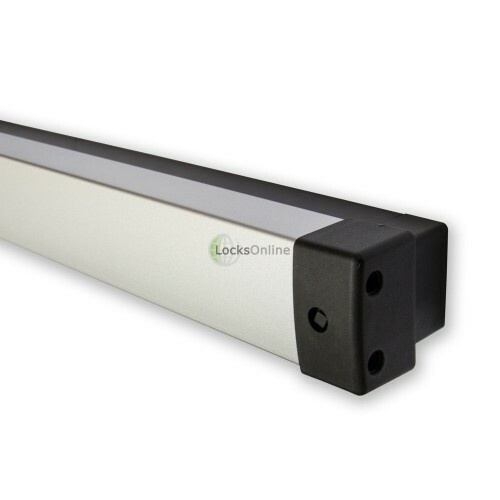 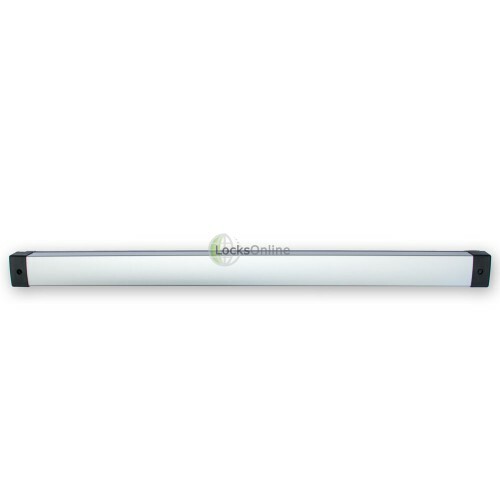 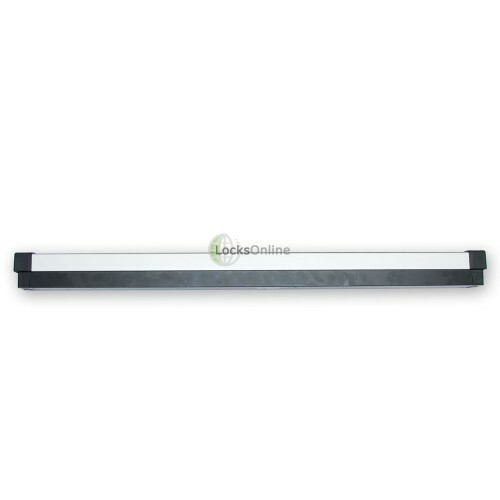 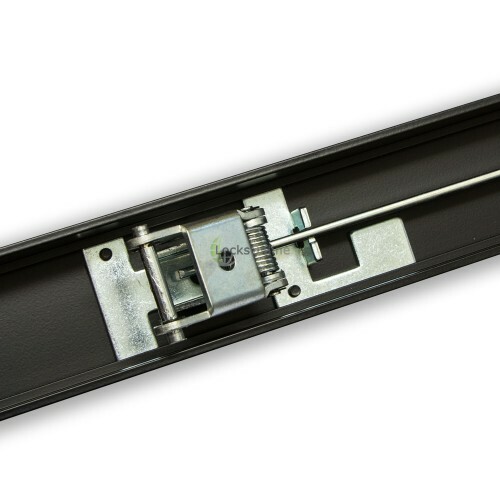 Of course, this type of crash bar is only really suited to outward opening doors, much like a traditional panic bar on emergency escapes, the idea is that by pushing the bar, you'll release the locking mechanism and in turn, push the door open. 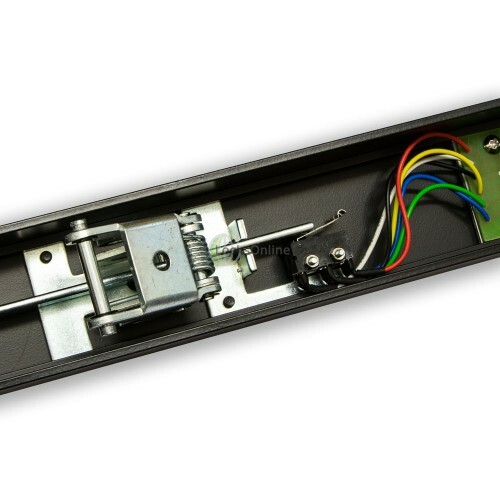 One of the distinct advantages with this particular push-bar is that there's two microswitches offering a double-pole solution, which allows you to conform to modern standards of installation, where both the positive and negative should be routed through two sets of contacts to ensure that in any eventuality, power is properly dropped and escape can always be achieved. 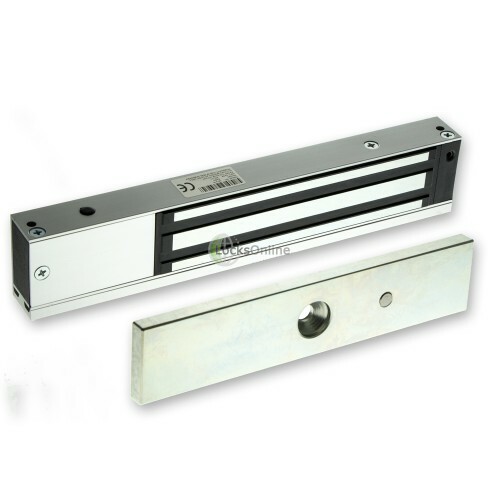 Naturally, this type of solution would normally be used with fail-safe locks such as maglocks or solenoid bolts, so that all the bar has to do is cut the power, and the locks will release. 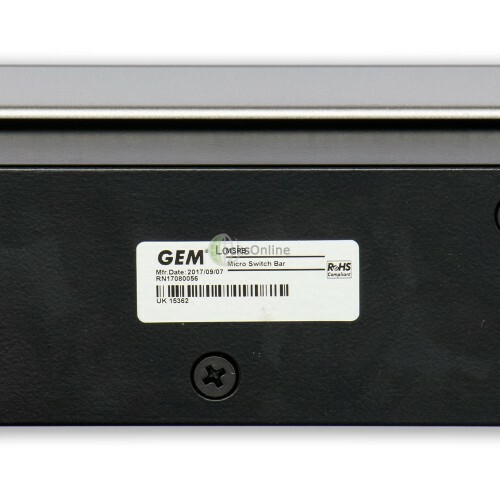 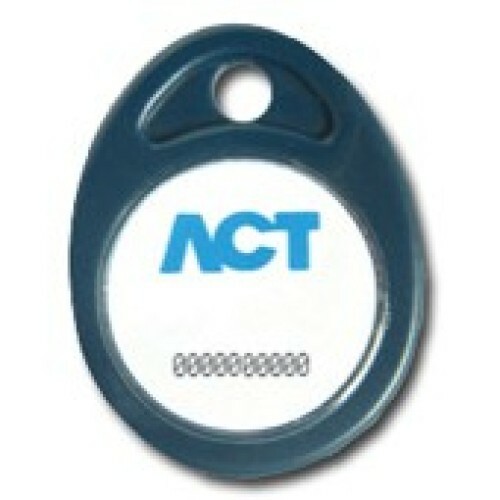 However, there may be some scenarios where you don't want or need a fail-safe lock, and this bar can in fact also be used in this scenario thanks to both microswitches having a set of NO and NC contacts, allowing for continuous power for fail-safe locks, or indeed momentary power for fail-secure locks. 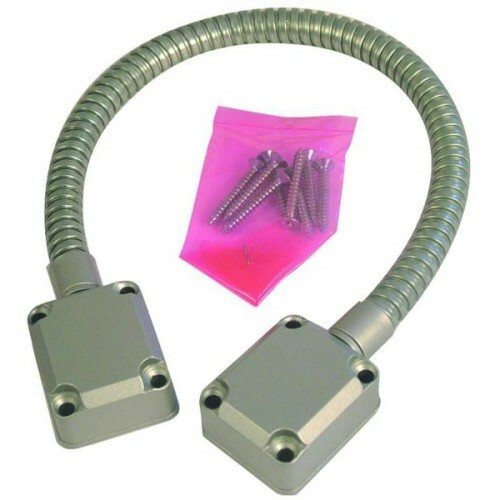 On one end of the bar, as seen in the video, there is a locking facility that can be operated by a square socket key. 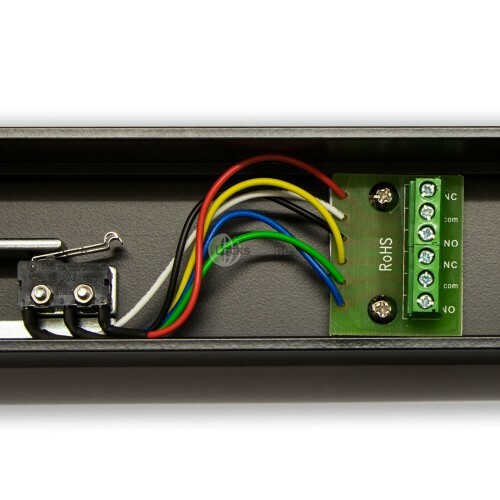 Now in most cases this would never be used, but if you do have a scenario where you need to occasionally disable the use of the push-to-exit bar, you can turn this 90° to lock-out the panic bar enough that when pushed, the bar will not depress far enough to trigger the microswitches and therefore the state of the terminals will not change. 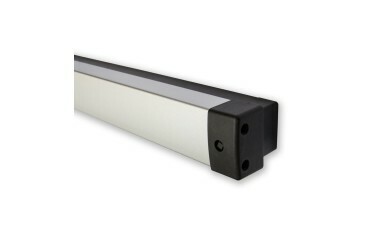 The bar itself is 876mm long so will work on the vast majority of doors. 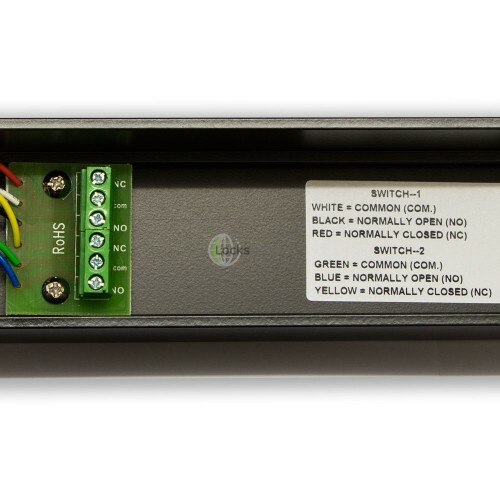 Please refer to the data sheet for fixing points and fine detail.